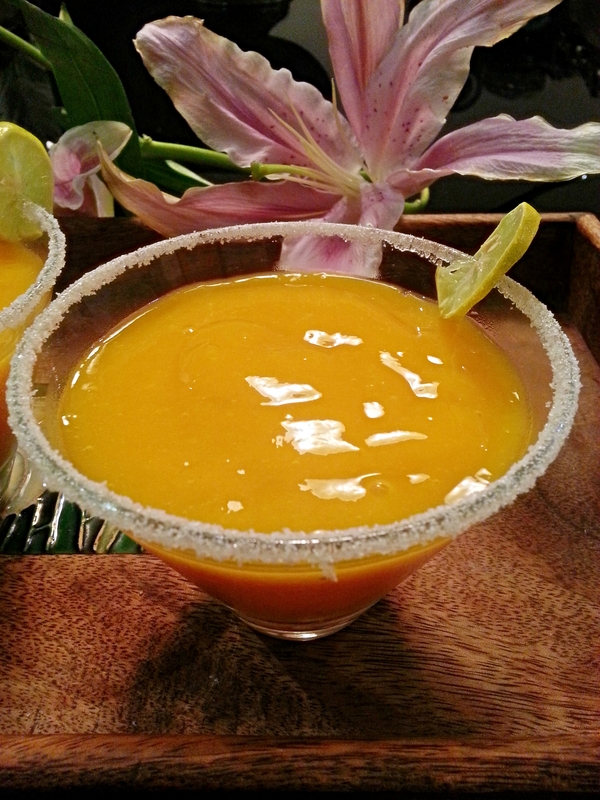 I love Margaritas and this mango margarita is so yummy and refreshing its unbelievable, I am absolutely in love with it. This margarita is delicious its like having pure mango nectar which is frozen and the taste is just enhanced by the liquor, I had two glasses and it was extremely difficult for me to stop myself from having my third, I felt so good, happy with this refreshing drink in my hand, just sitting on the couch with my lovely girls and dogs looking over the pool enjoying the sunset. It was perfect. If you wish to make this for kids just omit the liquor and squeeze in the juice of two fresh oranges, they are going to love it. Pour the coarse sugar in a plate and set aside. 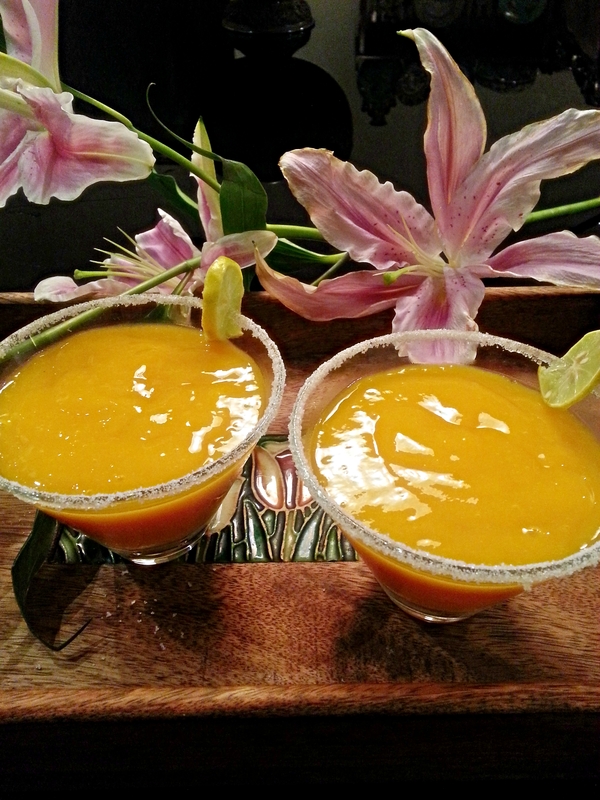 Throw the mango chunks in the blender. Top off the blender with ice ( i took 2 cups) pour in the tequila and cointreau add the granulated sugar and squeeze in the lemon juice. Blend until completely smooth add more ice if you think its necessary. Use a piece of one of the limes to moisten the rim of your glasses then dip the rims in coarse sugar, pour the drinks and serve immediately.